Buy Sheffield Hunt Saboteurs a coffee. - Ko-fi ❤️ Where creators get paid by fans, with a 'Buy Me a Coffee' button. We travel across the length and breadth of Britain stopping Bloodsports. We stop Foxhunting, Shoots and disrupt the Badger Cull. We travel hundreds of miles each month and are looking for help towards diesel. Please help. After a breakdown we now urgently need to buy a new vehicle this week so that we can continue sabotaging the badger cull and after that sab our local fox hunts. We have found a vehicle and should be in a position to buy it this week. The big cost for us after buying the vehicle is insurance and that's what this fund raiser is for, our group used to have low insurance costs, but during last years badger cull in Dorset we were persistently harassed by the police who even though our insurer was happy that we were correctly covered, the police repeatedly stopped us and questioned us. That repeated flagging of our driver and vehicle by the police has pushed our insurance premiums through the roof and the vehicle that we are buying this week is going to cost us approximately £1,750 for one years insurance. Please help us stay in the badger cull zone this year for the maximum amount of time, the quicker we can raise the money, the quicker we can get back out in the fields protecting badgers. to stay up to date with us, give our facebook page a like: https://www.facebook.com/sheffieldsaboteurs The video above is from the 2015 badger cull in Dorset. thank you for supporting us, "Sheff"
Secured Payments. Support goes to Sheffield Hunt Saboteurs's account. 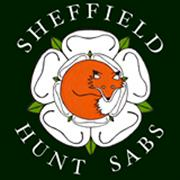 Upgrade Sheffield Hunt Saboteurs to a yearly Gold Membership with a one-time payment.